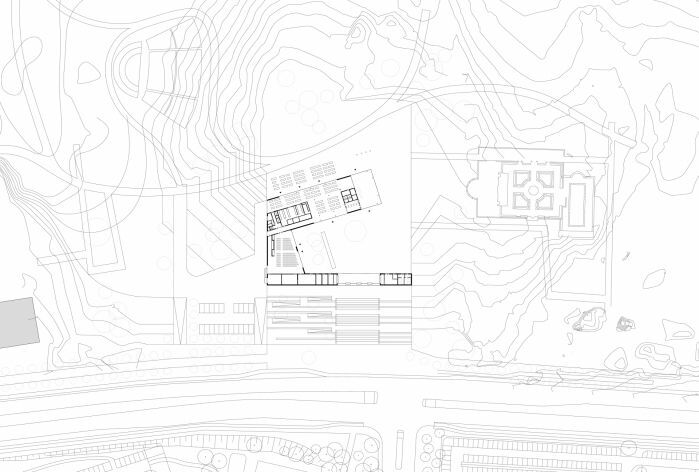 The unique geology and geography of the Gardens of the World is what characterises the overall sculptural and typological structure of the planned visitor centre. 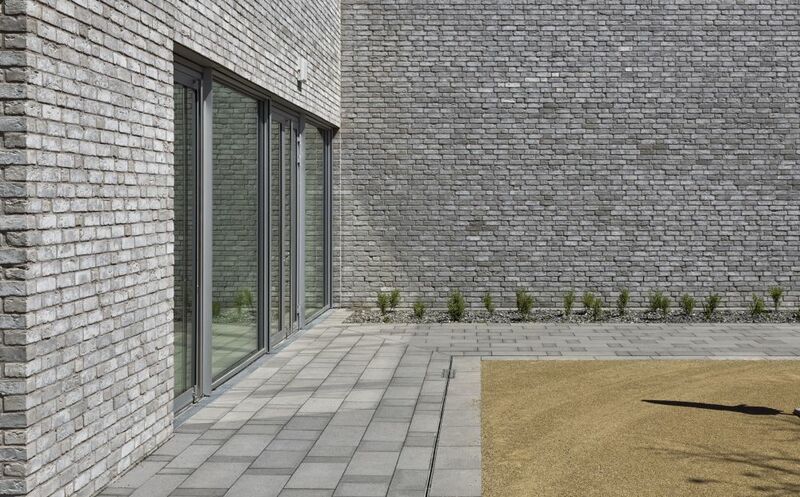 The architectural concept, the staging of the individual functional units and the design of the outdoor facilities all systematically descend from the existing natural environment. 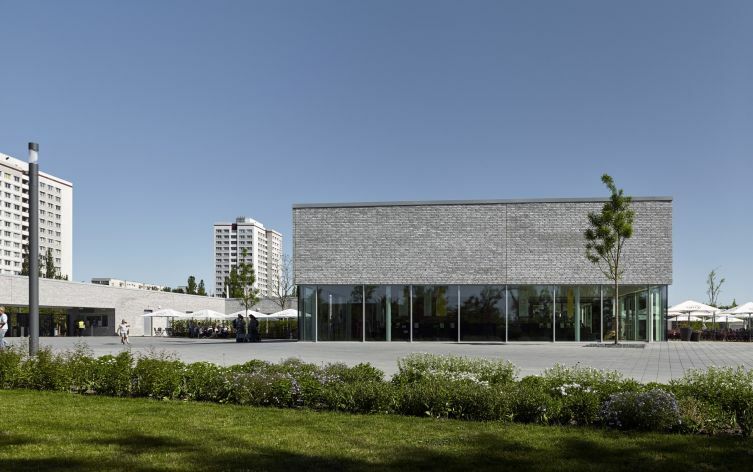 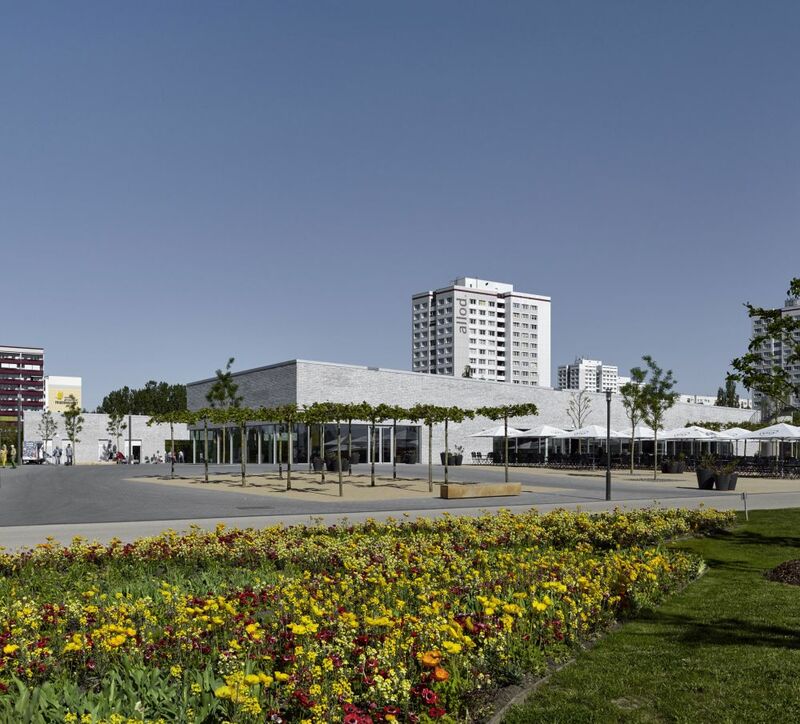 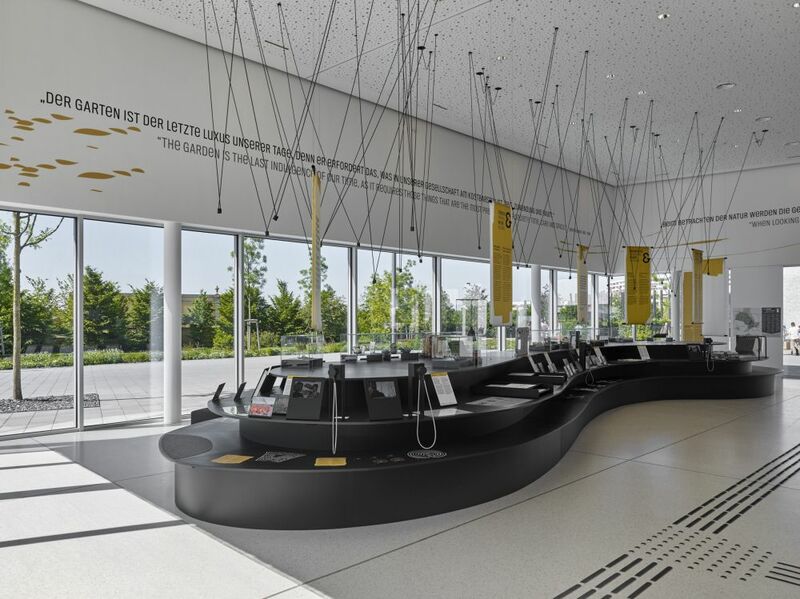 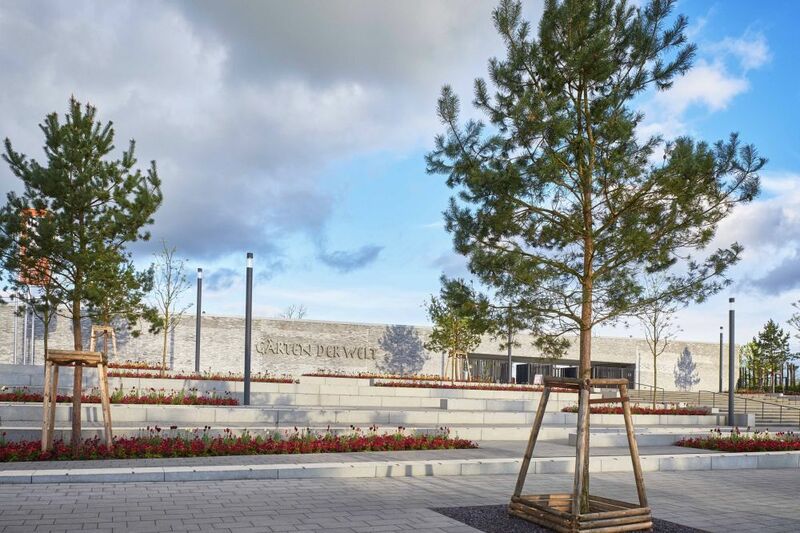 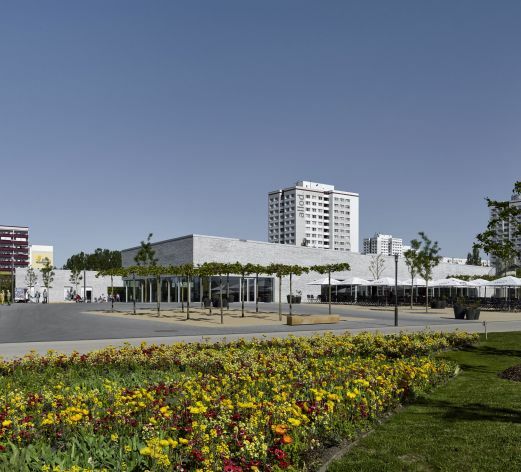 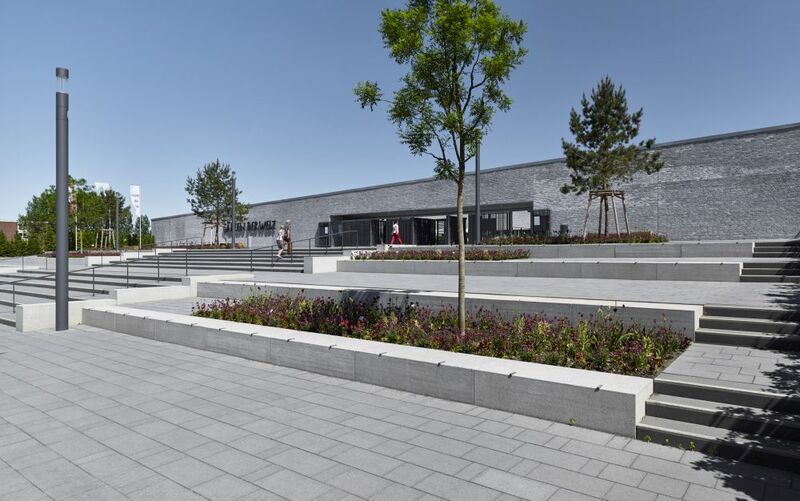 The distinctiveness of the site at the entrance of a landscape area and on the fringes of a garden city residential area provides only limited urban planning specifications, resulting in a basic concept of the visitor centre in the flow of nature. 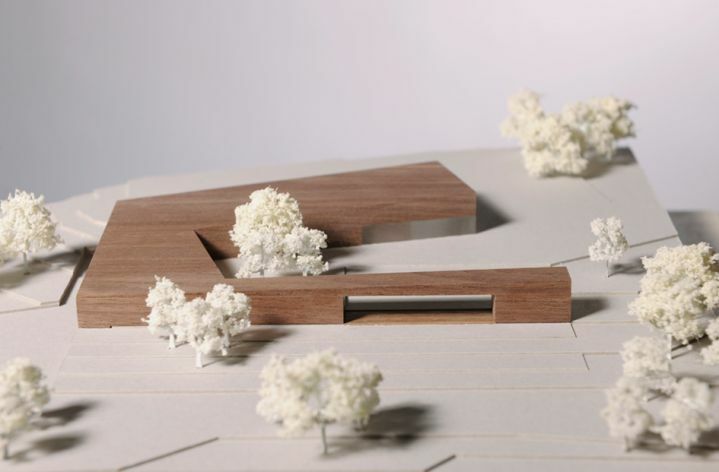 The architectonic concept foresees a compact building form, in a bid to reduce the built-up surfaces in favour of a green setting, and places particular emphasis on a harmonious integration into the surrounding natural environment. 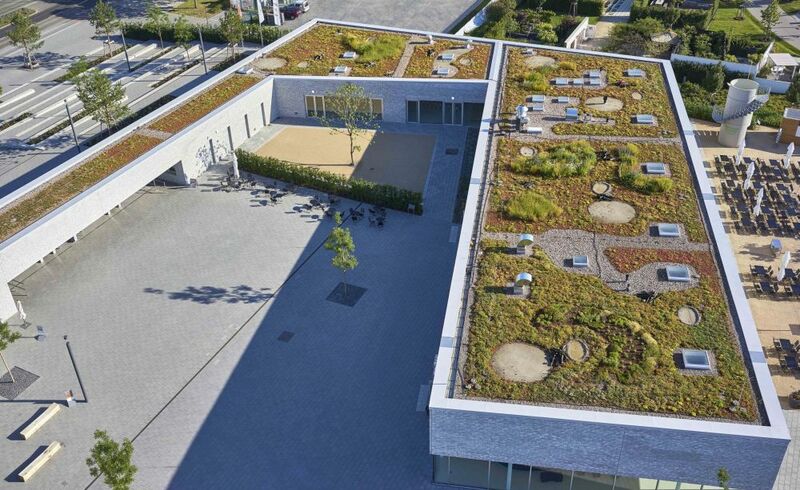 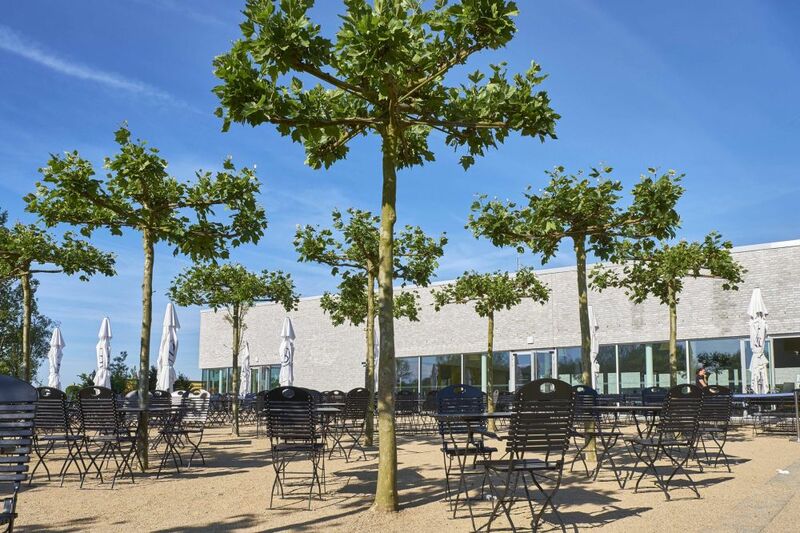 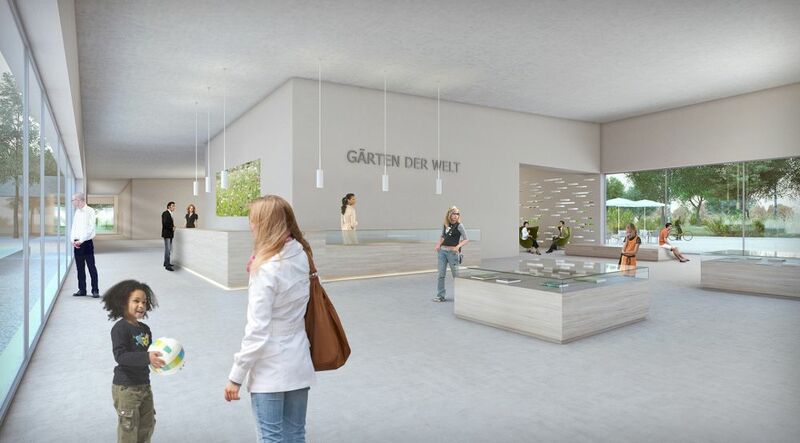 Given its distinctive form, the building forms a clear, identity-establishing conclusion to the Blumberger Damm, while also opening onto the Gardens of the World recreational park with its unique and extensive expression, which rises with the landscape. 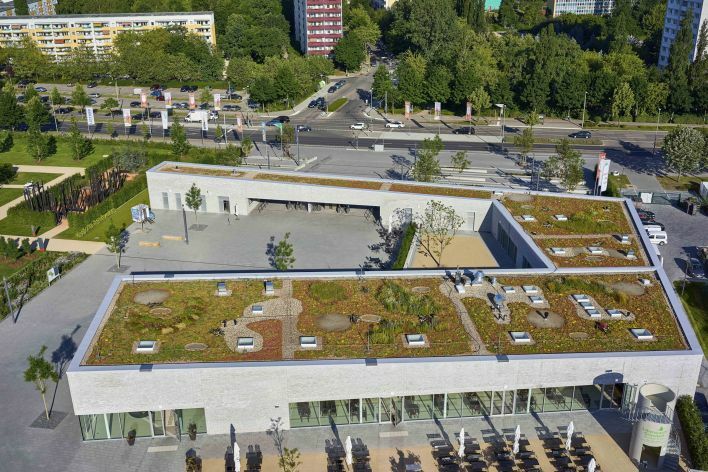 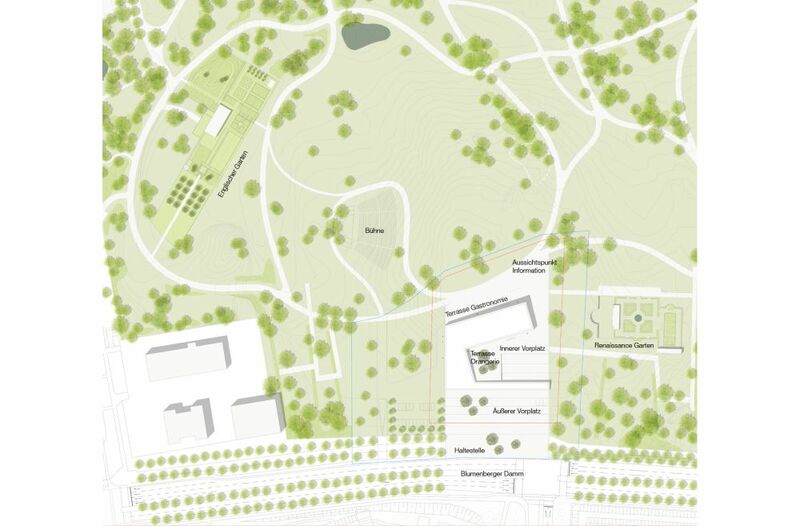 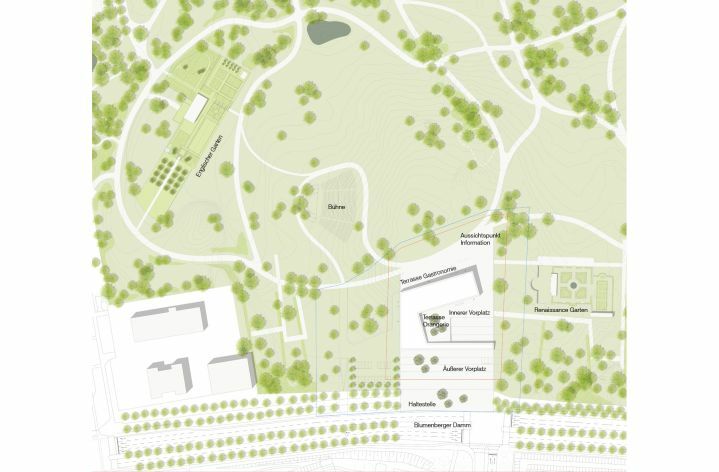 The green inner courtyard and the vast open forecourt create a flow between the visitor centre and the existing natural and green environment. The result is a design that, with its clearly defined structure, provides visitors with a warm and secure welcome from an urban to a natural setting. 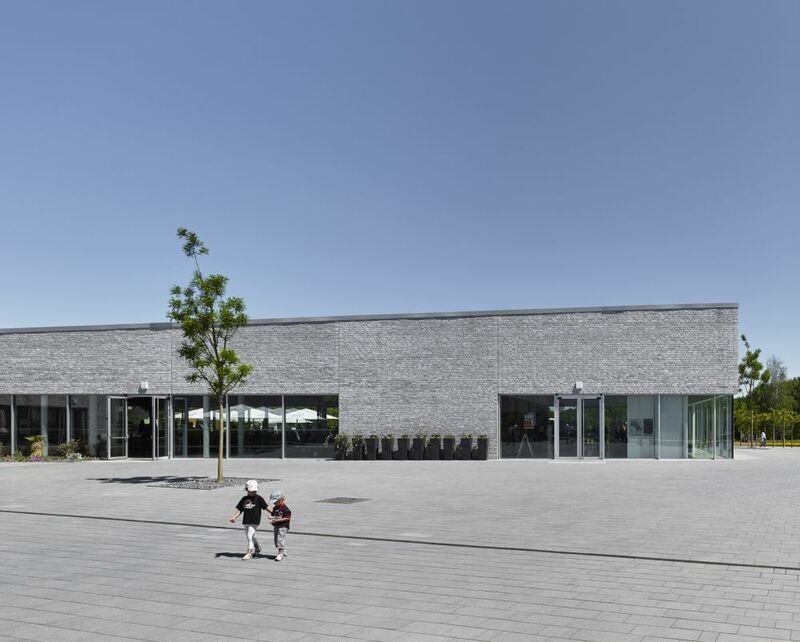 At the same time, openness and transparency are achieved through the targeted use of materials, light and openings. The main entrance is defined by a generous forecourt on the west side of the building. 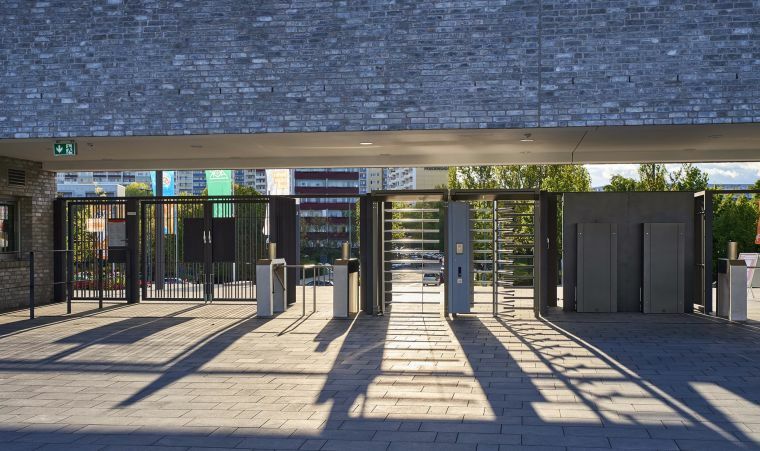 From there, the inner courtyard is reached via the gateway and ticket sales. 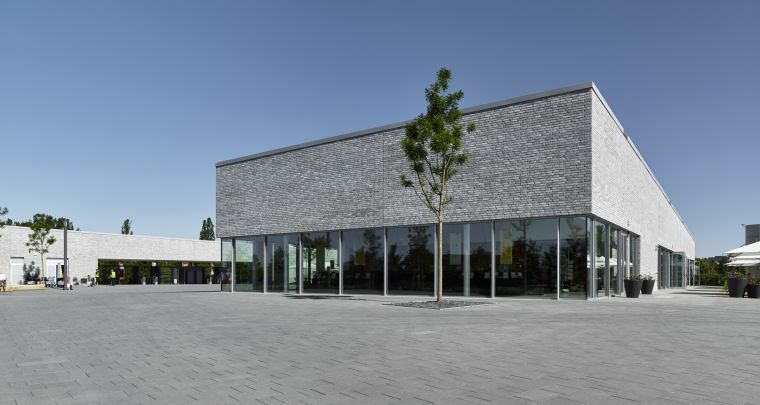 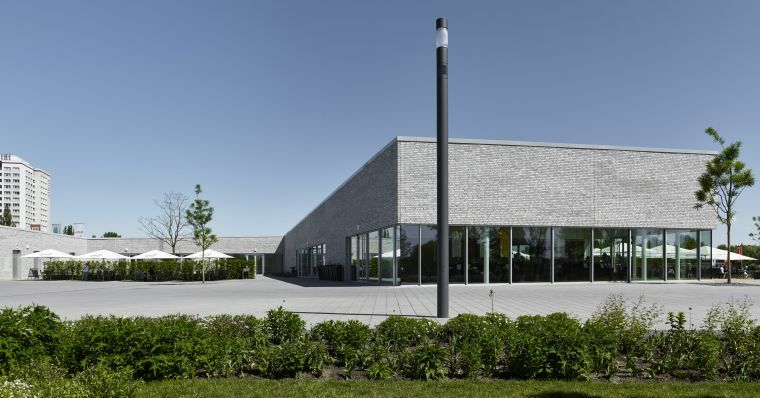 Given its representative and welcoming character, the courtyard becomes the central meeting point of the visitor centre and also represents an important point of intersection of the building, from which all the other parts can be reached.